Aston Martin could go back to its origins with this move. Aston Martin hit the headlines when it announced that it would borrow engines and electronics from Mercedes-AMG. The DB11 was the first Aston Martin to get electronics from Mercedes, and the company recently revealed a new V8 version that borrows the 4.0-liter twin-turbo engine from an AMG GT. In an interview with Drive, the DB11's Vehicle Line Director, Paul Barritt, said that the company could look for other Mercedes engines to help meet increasingly strict fuel economy standards. We're watching everything that they're doing, and there are certain things in place [within the agreement] but not everything," Barritt said. We know that Aston Martin is targeting hybrid models in the future, and a new line of inline-six engines from Mercedes could be the perfect option. 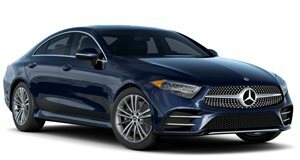 Rumors are currently circulating around an inline-six engine from Mercedes that could make its debut in an AMG version of the refreshed CLS Coupe. This model would be called the CLS 53 AMG, and come with a 3.0-liter inline-six engine making 429 hp. This power would then be supplemented with an electric motor for a total of 496 hp. An inline-six engine would mark a return to Aston Martin's prestigious past. Older Aston Martin models like the DB4 and DB5 used inline-six engines, and it wasn't until the Vantage in 1970 that Aston first produced a V8. A new Vantage with a inline-six hybrid drivetrain certainly sounds interesting, and we can't wait to see what Mercedes and Aston Martin have in store for the future. Just wait until Audi drops the new RS7! Suave is the middle name of the new CLS. No matter who you are, people want to be your friend in a DB11. 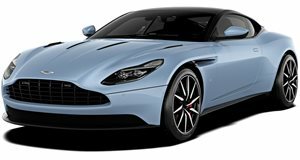 The V8 DB11 ran its V12 big brother close - newly uprated AMR V12 flagship puts new ground between them.